With the future of the United Nations peacekeeping operation in Darfur now in jeopardy, the safety and security of the Sudanese region’s most vulnerable communities hangs in the balance. 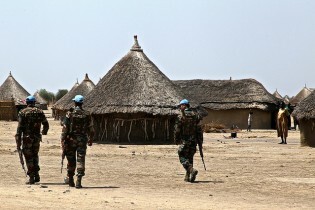 The future of the U.N. African Union Hybrid Mission in Darfur (UNAMID) could depend largely on determining what exactly happened in the town of Tabit in Northern Darfur at the end of October last year. The widespread field operations of the United Nations – primarily in conflict zones in Africa, Asia and the Middle East – continue to be some of the world’s deadliest.